Being part of a drag racing family, Grace Porter was all set to start racing Junior Dragsters when she was 6. Grace currently races the Porters Racing Mustang which was built by Jerry Haas. Jerry was also the guy who introduced Grace to her husband Scott Porter. 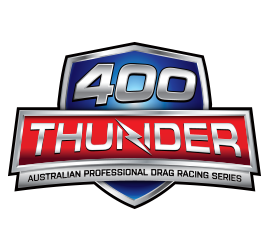 Scott, a well known Australian Pro Stock racer, tunes the John Barbagallo-built engine at the track, so this couple are never far apart from each other. With the Nitro Champs less than two weeks away, we asked Grace to share with us what the Porters Racing “game plan” is for their time on the track at Sydney Dragway on May 7. With Grace’s PB’s being 6.558 @ 210mph in NHRA Pro Stock, and 7.013 @ 195mph in Australia, she is determined to get their car into the sixes. After learning all about Grace’s racing history and their current car, we wanted to learn a little about her pre-race preparation. 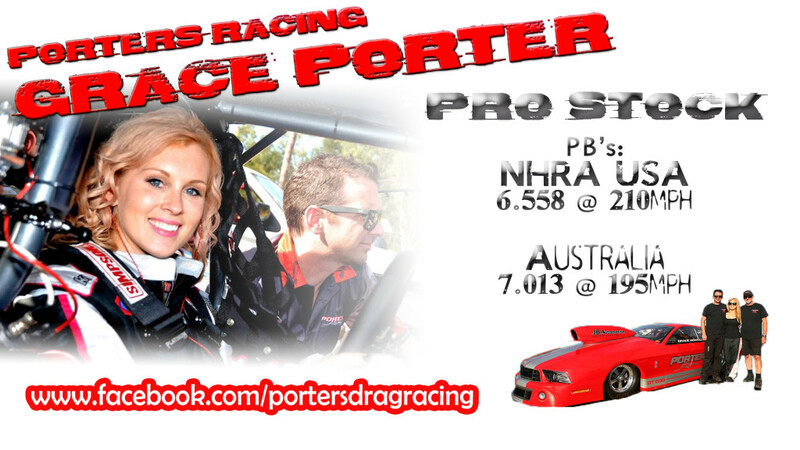 If you wish to connect with Grace and her husband Scott, and want to support them in their endeavors to run their first 6 second pass in Australia, put the Nitro Champs in to your calendar for May 7. You can also learn more about the team on their facebook page.